2016-17 winter ski season, Ski California and its 32 member resorts are looking ahead to an exciting 2017-18 winter marked by major resort enhancements and new program offerings up and down the state to enhance overall guest experiences. Diamond Peak is introducing a new terrain park on the Lakeview run, more perks for season pass holders, increased snowmaking productivity, and a new interpretive program highlighting the resort’s history and natural beauty. The new Lakeview terrain park will offer creative features and a flowing layout focused on maximizing fun with incredible Lake Tahoe views. In addition to increased snowmaking productivity on the mountain, season pass holders will enjoy added perks like 44 complimentary lift tickets at 11 partner resorts across the country. Heavenly Mountain Resort expands its offerings to guests for the 2017-2018 season to enhance ski and snowboard experiences on the mountain. Guests can enjoy the coming of winter with #hellosnow featured concerts, events, specials and more all taking place at the start of December. This winter, guests in Heavenly’s ski and ride school will be toured around the mountain by a GoPro certified ski and ride school instructor, allowing guests to learn how to use a borrowed GoPro camera to capture first-person video and photography of Heavenly’s secret stashes, powder pockets and stunning views. Guests can take a break in-between runs or end their day in style with a free taste of craft brew on the mountain under Tamarack Chair every day from 3 p.m. to 4 p.m. California Lodge will open a new roof top bar, LAT 38, for posh happy hour scene. Homewood Mountain Resort is looking forward to the upcoming season with new environmentally conscious snow grooming technology, new season pass perks and a new website that makes trip planning easy. Homewood will also have reciprocal season pass benefits with sister resorts including Silverton, Brundage and Red Lodge resorts. Kirkwood Mountain Resort is opening a new family center to allow family time to extend into the night. The Red Cliffs Family Lodge will feature a movie night each Saturday with popcorn, snacks, a hot cocoa bar, beer, wine, s’mores and games. Expedition:Kirkwood classes will allow guests to explore the mountain’s legendary terrain and secret powder pockets with qualified guides and expert coaches. Kirkwood will also offer women’s clinics and camps for all ages and skill levels. The “Ladies Only” packages allow ripping women to excel at their sport in a whole new way. Mt. Rose Ski Tahoe has invested more than $2 million in mountain enhancements and snowmaking capabilities ahead of the 2017-2018 season. One of the resort’s major projects includes a first-of-its-kind enclosed dual conveyor lift that will offer beginners and children access to Mt. Rose’s learning terrain and protection from the elements. Mt. Rose’s projected opening date for the 2017-18 winter season is Oct. 27, weather and conditions permitting. New for the 2017-18 season, Northstar California is expanding their Platinum program with Platinum Piste, an exclusive trail combining the resort’s signature grooming and unprecedented standards for providing premium conditions. Guests with Platinum Season or Day Passes gain access to the exclusive, location-rotating run to experience the best conditions throughout the day. Guest can also take advantage of First Tracks where Adventure Guiding and Learning Center mountain guides take small groups up the mountain before lifts open. Sierra-at-Tahoe has an expanded learning environment this season that features SMART TERRAIN®, a designated, sculpted terrain that fosters an elevated learning curve so guests can progress more efficiently and gain confidence in their new sport. Visitors can find Olympic gold medalists Jamie Anderson, Maddie Bowman and Hannah Teter training at Sierra on any given day for the 2018 Winter Olympics in South Korea. This year, Sierra will continue to source sustainable, healthier food options in the Solstice Eatery. Additionally, Sierra passholders can score three free days at La Parva or Bogus Basin along with 14 other resorts, to complete 48 days of free skiing at some of the best powder stashes in the west and around the world. After a stellar 2016-2017 season, in which Squaw Valley | Alpine Meadows had the latest close day ever of July 15, the resort anticipates an exciting 2017-18 season with an anticipated open date of Nov. 17, 2017. A major overhaul of High Camp will be complete for the winter season, including a complete renovation of Terrace Restaurant & Bar, which boasts panoramic views of Lake Tahoe. The Alpine Meadows Lodge will see a number of improvements this season including easier entry and updated locker rooms and restrooms. 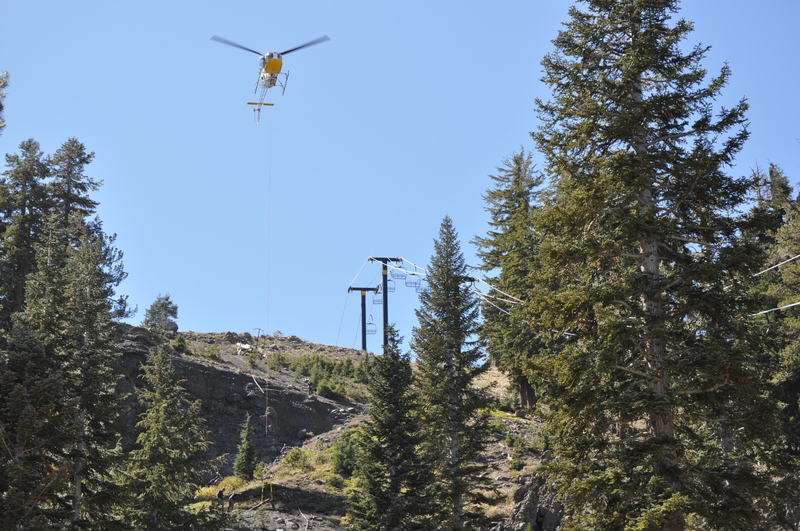 New snowmaking hydrants will allow faster and more productive snowmaking through the base area and at Alpine Meadows. Additionally, $4 million has been invested into the snow safety program, including avalanche mitigation, in a continued commitment to the efficiency of mountain operations and the safety of employees and guests. On the heels of a record-setting winter and extended season Sugar Bowl Resort and Royal Gorge Cross Country have invested $3 million in capital improvements this summer, bringing its two-year investment to more than $6 million. The resort is focused on enhancing the guest experience with significant improvements in snow grooming, snow removal technology, a new kids ski and snowboard school facility, renovations to Nob Hill Cafe, and improvements to the Royal Gorge cross-country experience. Tahoe Donner Ski Resort will greet the upcoming season with facility and on-mountain enhancements, continued snowmaking, and great value. A complete renovation of the outdoor sundeck located at the base area lodge was completed in August. Summertime trail maintenance will allow additional tree skiing off Eagle Ridge Chair on the backside of the ski resort and allow for earlier operations in lower snow conditions. Best Place to Begin ski and snowboard packages are designed for all ability levels. Children as young as 3 years of age can learn to ski on Tahoe Donner’s slopes. Tahoe Donner Cross Country Center’s acquisition of Crabtree Canyon last year will provide the center with an additional 640 new acres and approximately 16 kilometers of additional cross country trails. Guests will additionally enjoy a newly remodeled state-of-the-art Alder Creek Adventure Center. Auburn Ski Club Training Center announces multi-discipline winter sports programs and affordable winter activities for the whole family. With a full range of programs and facilities for Alpine Skiing, Nordic Skiing, Snowboarding and Biathlon, the ASC Training Center on Donner Summit provides a “one place fits all” solution for families looking for top notch and affordable winter recreation opportunities. Located adjacent to Boreal Mountain Resort, ASCTC is easily accessible, with ample free parking, a 6,000 sq. ft. winter sports facility, a 25 km cross-country center and a competition venue. 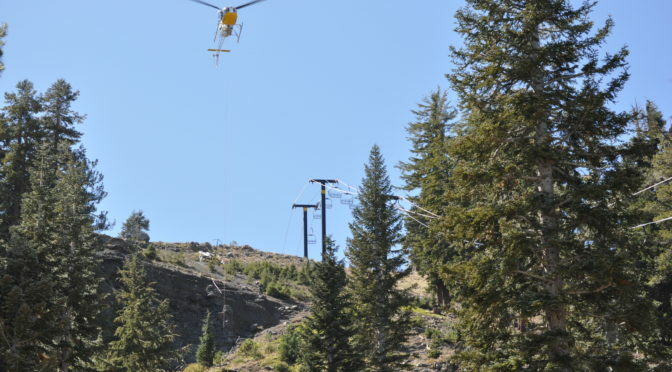 Bear Valley will be the first six-pack installed in by Bear Valley and will transport guests to the mountain’s peak in just over three minutes. China Peak is celebrating its 60th Anniversary on Dec. 16-17 with lift ticket prices rolled back to their first season in 1958 – $6. There will be a limited number of 60th Anniversary lift tickets available online at skichinapeak.com. In addition, the weekend will be celebrated with commemorative t-shirts, hats, music, food and drink specials, and prizes for those wearing ski gear in the spirit of the early days of skiing in the 1950s and 60s. Additionally, China Peak has added its first quad chair, the Buckhorn Quad, which will double uphill capacity. Big Bear Mountain Resorts (Snow Summit and Bear Mountain) continues to evolve on the heels of a winter season that saw record snowfalls and visitation with investments in improvements and updates to the base areas of both resorts. There will be a large expansion of beginner terrain at the east end of Bear Mountain with two new moving carpets to service beginners, two satellite parking lots during peak season, remodeled dining areas in the main lodge and newly renovated and expanded locker rooms. Southern California skiing and snowboarding will be revolutionized in December 2017 when Snow Valley Mountain Resort opens the Southland’s first ever six-person, high-speed chairlift, the Snow Valley Express. This new lift celebrates Snow Valley’s 80th season, and is a higher-capacity lift that will greatly reduce lift line wait times. Passengers can quickly ride uphill at more than twice the speed of the fixed-grip chair it is replacing. The new lift is Snow Valley’s first detachable, high-speed lift. $3,250 each. Sales are limited to just 100 passes per season.